Star Trek Beyond isn’t in theaters yet, but it sounds like a fourth film is already taking shape, at least according to J.J. Abrams. 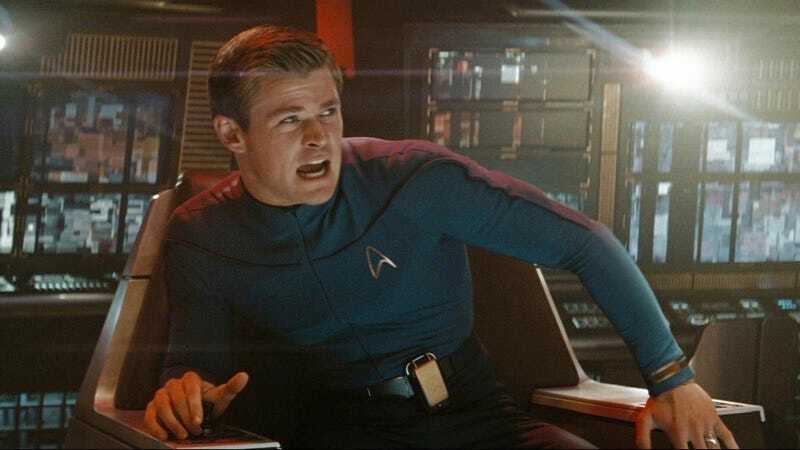 The director of Star Trek (2009) and Star Trek Into Darkness (2013) says that Chris Hemsworth, who made a cameo in his pre-Thor days as Captain Kirk’s doomed father, will return. Not only that, but the movie will somehow bring the elder Kirk together with his son, played by Chris Pine, according to Access Hollywood film critic Scott Mantz, who broke the news over on Twitter. Abrams hasn’t elaborated on what the story might be (time travel wouldn’t be too much of a stretch, and/or some kind of virtual reunion), and there’s obviously no time table for a fourth Star Trek yet, so all we can do is guess right now.